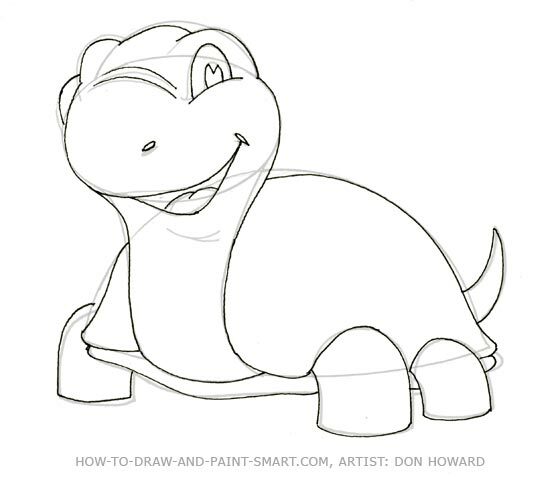 Draw a cartoon turtle. I love turtles. 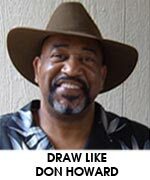 Whether ninja turtles, box turtles, sea turtles or snapping turtles there is something about turtles that is worthy of our admiration and our fascination. I admire their ability to survive and the steady pace at which the seem to approach life. 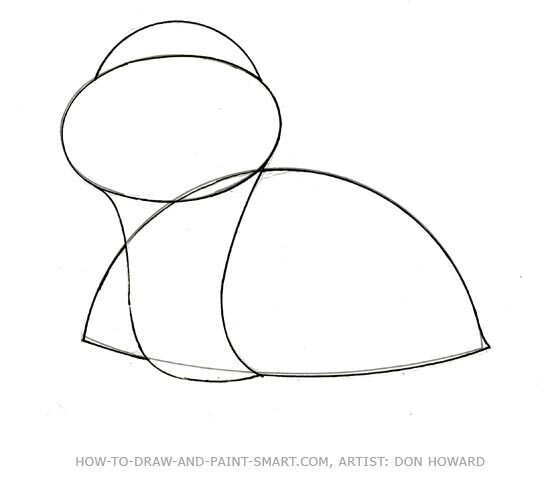 Turtles have come to symbolize steady progress and survival. I recently found a painted box turtle nestled up by a large tree in my yard. I was a joy for us to observe him. When he saw us, he quickly slipped inside his shell and took some turtle-like patience on our part to wait fro him to feel safe enough to come out again. My family is fortunate to live near a wildlife reserve and occasionally fresh water turtles will come into our yard to lay eggs. This occurred recently when the water level was very high. We got to watch the mother turtle lay her eggs in hole she had dug.We carefully places stakes and a ribbon around the are so that the nesting site would not be disturbed. Turtles are reptiles. Like other reptiles, turtles are cold-blooded They must adjust their internal temperature by using their environment. If they want to get warmer , they may sit in the sun. Box Turtles as pets: With a potential life span of up to 100 years, these turtles obviously require a long term commitment (however, the average life span of captive box turtles is probably closer to only 40-50 years). 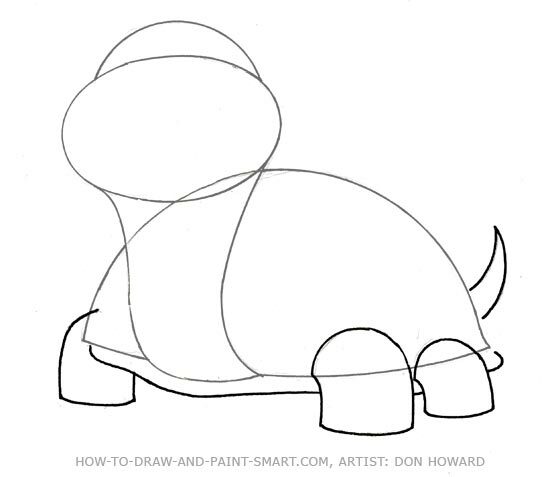 Now let's get started with the "How to Draw a Turtle"
step by step drawing lesson. 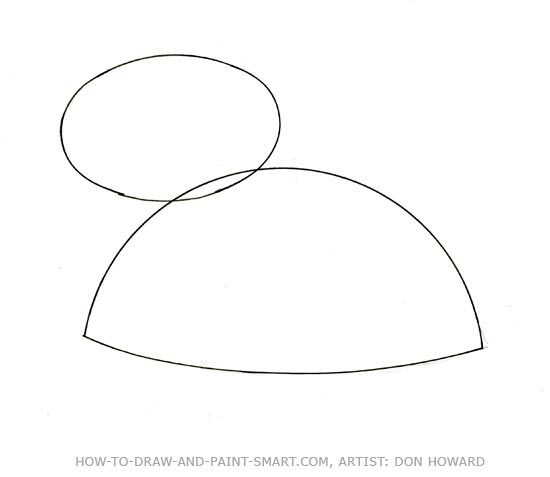 "How to Draw a Turtle!" To stay healthy, They must be feed a variety of foods from both groups including plenty of fresh vegetables and fruits, insects, low fat meats, pinky mice, and other foods. 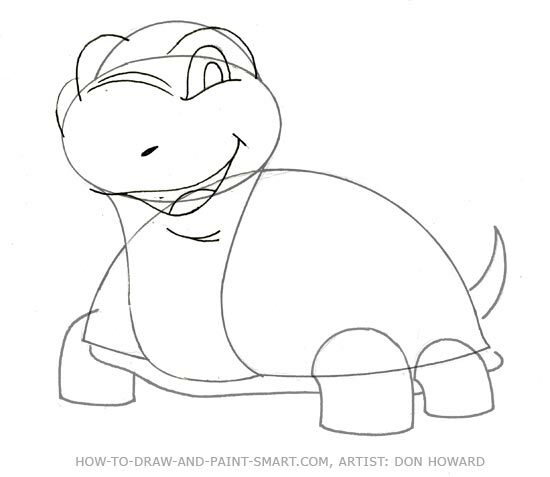 How should I color my turtle drawing? 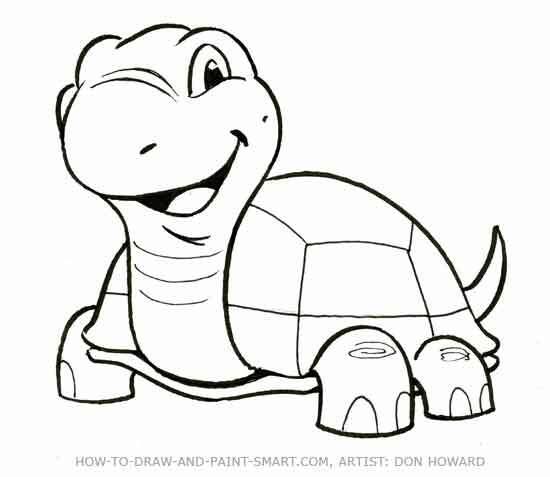 Box turtles come in many colors and have very interesting markings the links below will give you some ideas on how to color your turtle drawing. You can also see the interesting patterns they have on their shells. Where can I learn more about turtles?